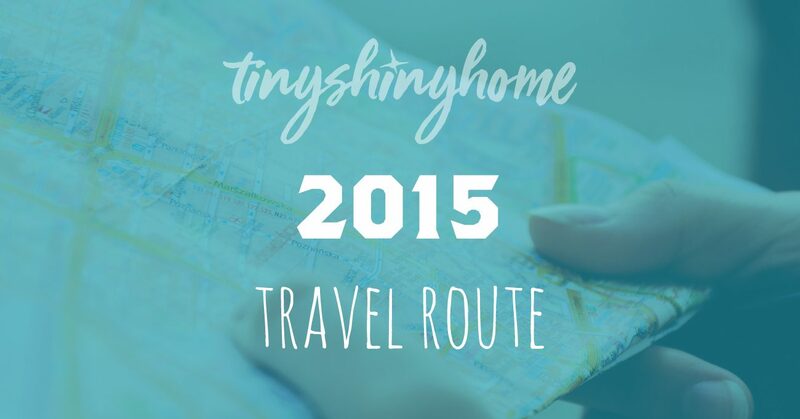 Below you'll find a map showing our travel route in 2015. Click on a marker to get a link to any articles we've written about that area. We'll keep this post updated so you can follow along with us. Enjoy! Our hometown. Where we started the journey. Stayed at our first State Park for a family wedding! Our first full-hookup experience in a super nice RV resort. Becoming officially debt free! And exploring an underwater cave. The first, "we're leaving" location. Met up with old friends and made some new ones. Overnight stop near a ferryboat tour. Got a second AC unit installed, met up with family, had a blast. Fried the transmission in our truck. Gorgeous town, though. Spent tons of time with friends, explored the area. The Adirondacks have been our favorite place so far. So much to do and see and all of it breathtaking. A little touristy, but lives up to the hype! A one night trip turned into two when we got worried the wheel bearings were going out on the truck. Also, a town festival! A pit stop on the way to Acadia National Park. Not a ton to do here, but our neighbors are all super nice and we're enjoying relaxing. Acadia National Park lived up to the hype. Amazing! We spent two weeks hiking, exploring and meeting new friends. Stayed here for two weeks - only cool thing was the bike ride along the Cape Cod coast. Otherwise we rented a lot of Redbox movies. Overnighted here on the way to Richmond. Beautiful little park. Stayed at the friendliest RV park ever, had our broken Gray Tank looked at. Spent two fun weeks here relaxing, biking, hiking and adventuring all around the area. Stayed at our first city park (it was really nice) and met Jon's parents for the weekend. Spent a month in Knoxville to get our gray water tank fixed, visit with family and friends, unload a bunch of stuff and gear up for the next leg of our journey. Way up on top of a mountain in Amish country - we hit up Rock City, Ruby Falls and Fall Creek Falls. Had a quick overnight stay at a tiny campground in the middle of nowhere. Inbetween Charleston, SC and Savannah, GA. After the mud and rain cleared up, we found some really cool stuff in the area. Apparently Florida doesn't like you to park overnight without paying, so we found a campground last minute to stay at here. Poured rain, puddles up to our ankles. Fun! Overnighted on the way to the Keys. Beautiful but buggy park. We stayed in the Keys the entire month of Decmeber and LOVED it. Now I see what the whole snowbird thing is about.